(Billy Joel) What Song Ever Stopped A War? 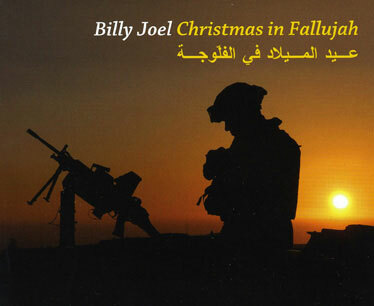 "In the middle of November 2007, Billy Joel recorded the anti-war Christmas In Fallujah. Performing the song live for the first time at the Sears Centre in Hoffman Estates, Illinois on December 1, Joel told the appreciative audience: "This song, in particular, needed a younger voice, someone who under different circumstances, might be over there with those other people." He then introduced Cass Dillon, a 21-year-old singer-songwriter from Long Island. [...]"